Horsemoor signal box was a made of wood This signal box was on the eastern edge of March on the March to Ely line. This box was opened in 1899 and was closed in 1988. Note how the roof carries on over the balcony at the far end. 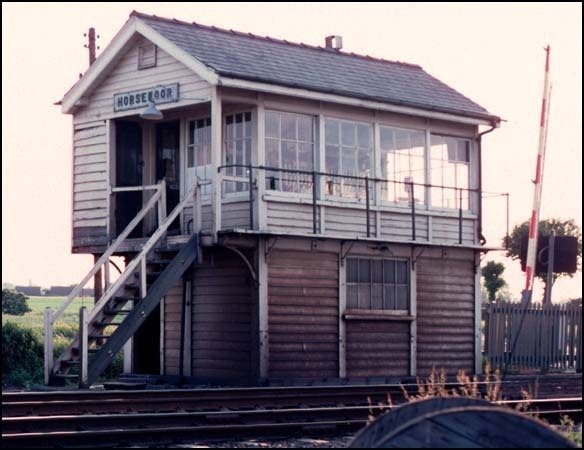 Horsemoor signal box from the other end. 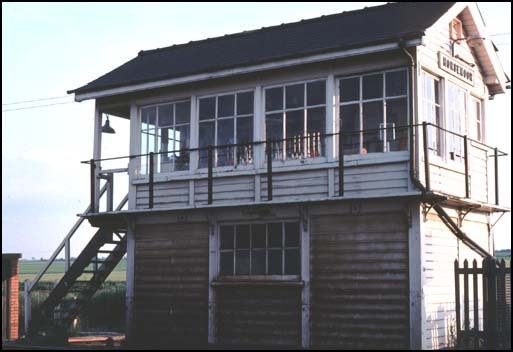 Although some signal boxes in March are still in use in 2010, this signal box has long gone. A pair of class 25s near Horsemear signal box.